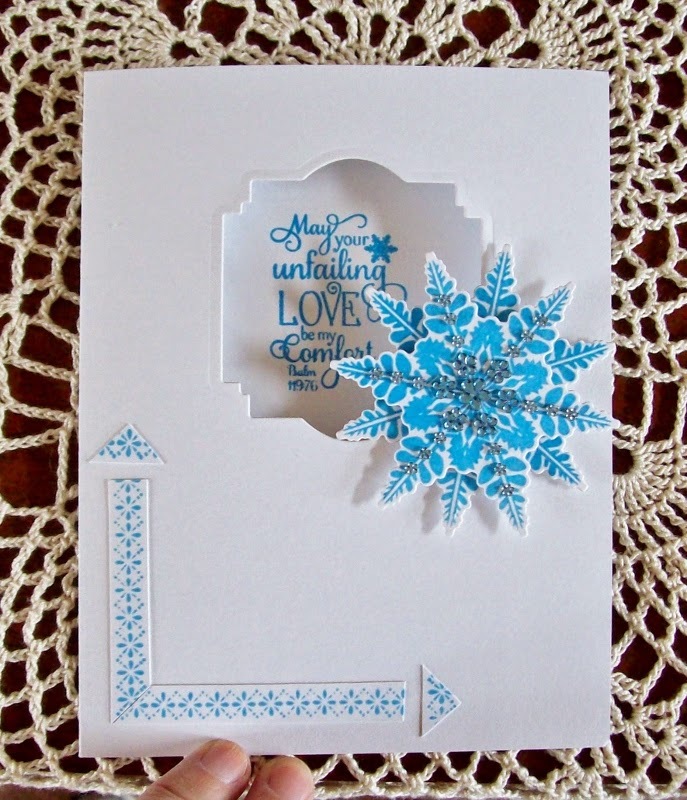 Update: So exited to find out my card made it to the winner's list at DCWV! Thanks so much for popping in. I really love your visits. Today, I have a card for the DCWV Stack-a-holic Challenge which I am getting in at the very last moment. Not like me, but I've been super busy this month. I used DCWV's Heirloom Stack to make my card for this month's challenge.﻿ I bought this stack just for the sheet of paper you see under my card. I have still not been able to cut it! You now how that goes - right!?! It can't just be me. I love using unexpected colors for my Christmas cards. Teal and taupe/tan/dark ivory. Let's go with taupe because it's fun to say teal and taupe! If you have an idea for this challenge, you might still have time to get it in. The deadline is today! Here's a copy of the sketch we had to work with and the address for all the details. Thanks so much for stopping in today! I love your visits and comments, as always. 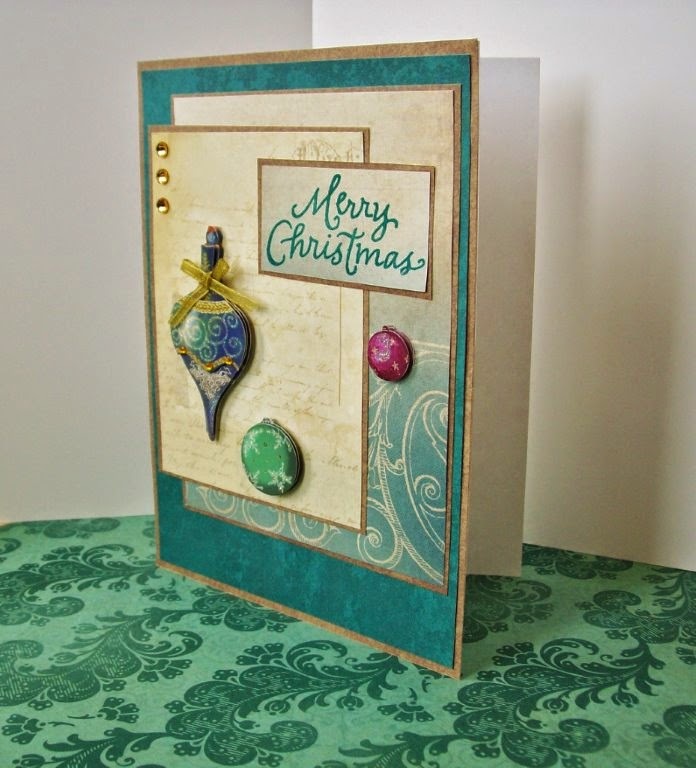 I created this card for the current challenge at Our Daily Bread Designs. 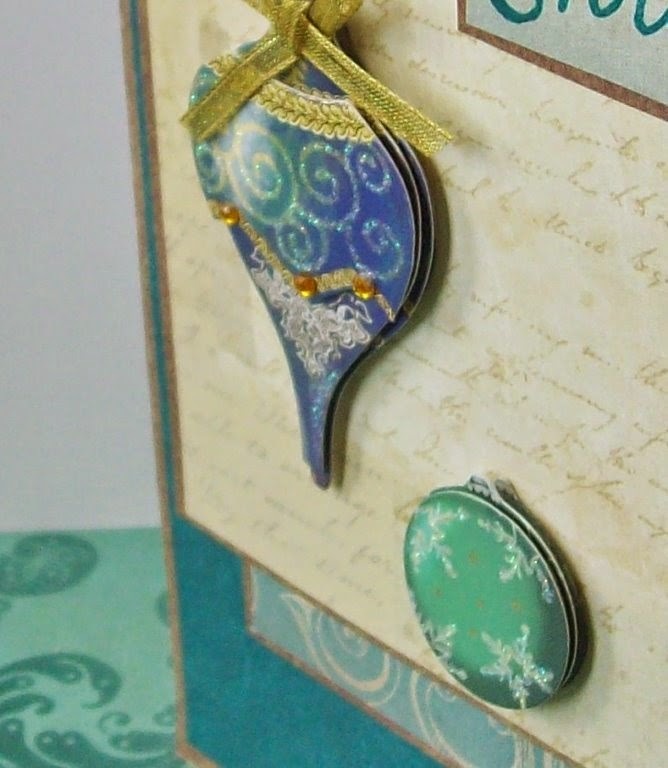 For this challenge we can make any card we want that uses ODBD stamps. I began by making a 5" x 7" white card base. 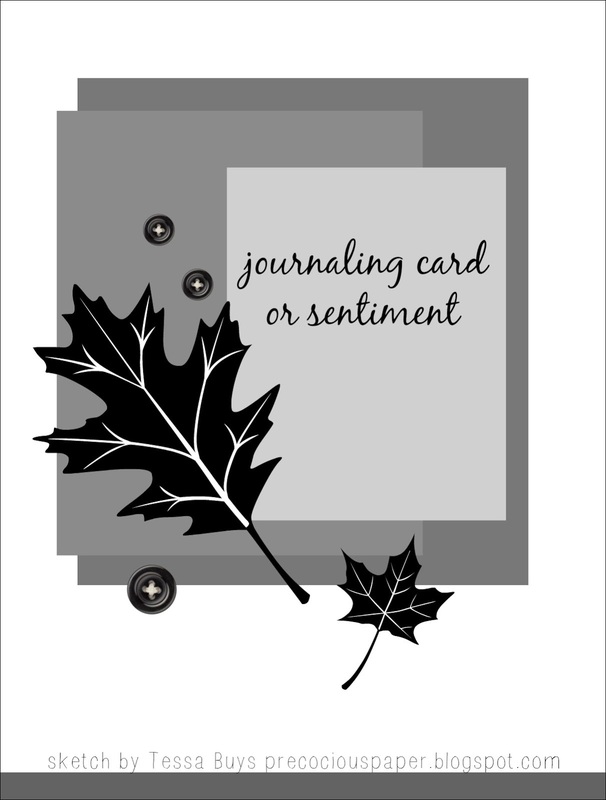 I diecut a shaped hole and heat-embossed the sentiment on the inside of the card so that it would show through the hole. 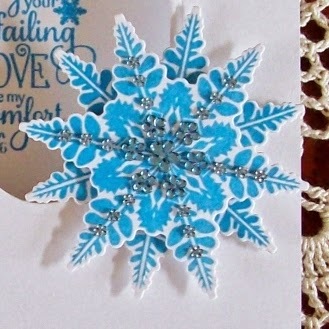 I heat-embossed and diecut two snowflakes and added rhinestones to one snowflake. I adhered the two snowflakes together with foam tape. Then, I adhered the pair to my card as shown with foam tape. Here's a close-up of the snowflakes. Here's a close-up of the sentiment inside the card. 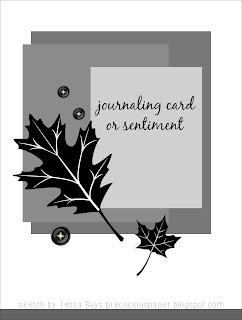 You can also join my blog and you won't miss my cards. Just click on "Join this Site" over there in the right-hand column and follow the easy steps to get my posts. 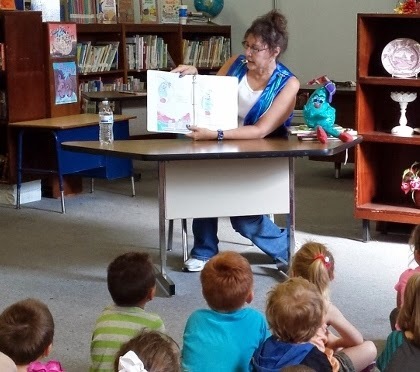 What a fun day Max and I had with the 55 Head Start kids at the Cooper Library! The kids were great! 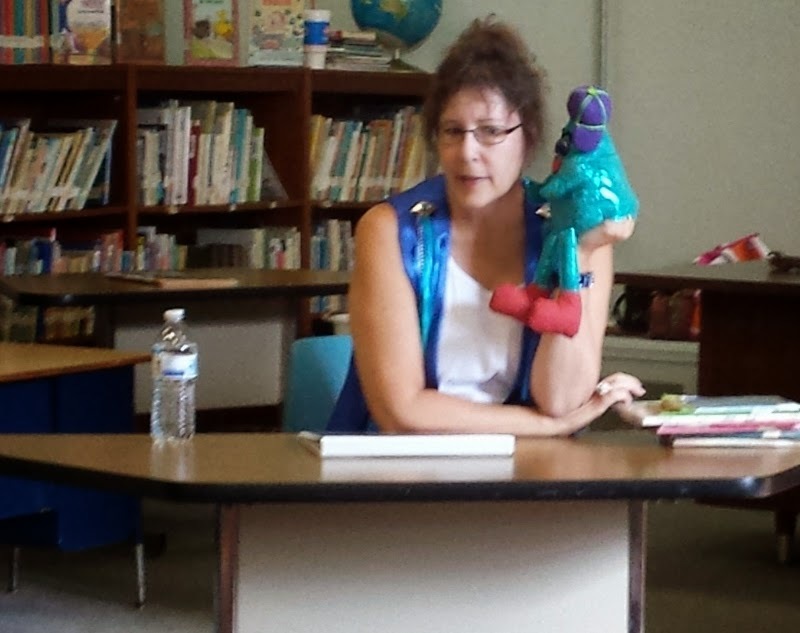 They listened so politely and got the point of Max's story without any prodding. Max, on the other hand, was quite rude. He kept interrupting me. He is really shy and will talk only to me and only in my ear. 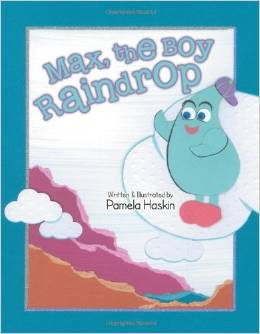 Max really liked the kids and wanted them to know how scared he was, and how much braver he is now. Maybe he will become brave enough one day to speak to others.